In product fulfillment, your warehousing facilities can be as valuable to your success as the products themselves. However, the warehouse itself is no longer enough to use your facilities effectively. Here are the other factors you need to consider to determine which warehousing facilities and features will best suit your business. When researching warehousing and storage, keep in mind that the facility you use likely won’t be yours, but rather another business outsourcing it to you. Many also offer transportation logistics, among other additional services. You’re obviously going to want to research which warehouse companies are credible and offer the services you want at a reasonable price. But before those comes determining its location. Given its status as a primary product fulfillment location, you may want to consider a logistics company in Florida, regardless of where your own business is located. As noted, you want to pay attention to the services and price; the more features a warehouse has, the larger the bill is going to be. Thoroughly plan out what your business needs from its storage services. How long do you plan to be using that facility? Which services do you need and which do you want but can afford to do without? Does it meet regulations? These are just a few of the questions you’ll need to ask yourself. A warehouse stands to make delivery of your products easier, provided you make the correct decisions when choosing one. That’s why it’s imperative that you take your time and find warehousing facilities that serve the best interests of your product fulfillment business. Location is among the most important warehouse selection factors to consider when choosing a new warehouse. Since your warehouse will likely be used for both shipping and receiving, it’s important for it to be in a convenient location to carry out both processes. If you’re a smaller business that will be mainly tending to local affairs, then it’s a good idea to select a warehouse close to where your business is actually located. However, if your business will be catering to a larger demand, then you should consider selecting a warehouse along main transport routes—this will make transporting goods as efficient as possible. 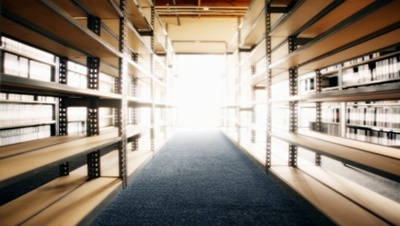 The storage facilities are another factor that will affect the location of your warehouse. Depending on the nature of your business, you may need to think about accommodations for hazardous materials, food products, or flammable items. If you’re dealing with chemicals, you should also take into account environmental concerns, such as whether there are any streams or ponds in close proximity. It’s important to take note of these things as early as possible in order to avoid disaster later. Another important selection criterion for your warehouse location is the availability of skilled workers. You’ll need to staff your entire warehouse with laborers who are available around the clock, especially if you plan on operating on a 24-hour schedule. You may want to think about placing your warehouse in close proximity to high-density residential areas that are more likely to house workers that will meet your needs. Another factor to consider is whether there is a similar business in close by, and if you’ll have to compete for skilled workers. Another factor that will affect the location of your warehouse is its ability to handle various material and equipment. After deciding what your primary mode of transportation will be, you can decide what type of handling equipment your warehouse will need. If you’ll be using trucks and trailers to transport and receive goods, you’ll likely need a warehouse that’s equipped with the appropriate docks. In addition, you need to think about whether there is ample outside and turning room for material handling equipment and trucks. When making a decision for your warehouse location and size, you must remember to account for future growth. Finding a warehouse that meets your current needs is important, but you want to select something with some room for expansion if you plan on continuing to grow your business. However, this may be easier said than done; there’s a delicate balance between selecting a warehouse that is big enough to maintain your current operation and account for future growth and choosing a warehouse that’s too big to the point where it becomes hard to maintain. Carefully analyze the projected growth of your business within the next few years to avoid the time-consuming and costly venture of having to move warehouses again. Need solutions to your product fulfillment problems? APS Fulfillment, Inc. has the knowledge and services to make your direct mail and product fulfillment ventures more successful. Contact APS Fulfillment, Inc. by e-mail at [email protected], visit their web site at www.apsfulfillment.com, or phone at (954) 582-7450.